Tank tops work harder than any other top in my wardrobe. Ideal for layering, I wear other tops under them or under jackets, shrugs and sweaters. 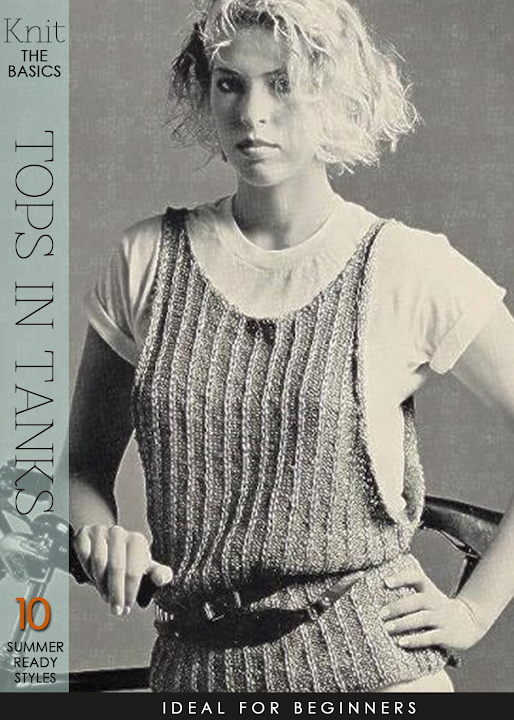 Tanks can add warmth in the cooler seasons and when it's hot, worn alone. 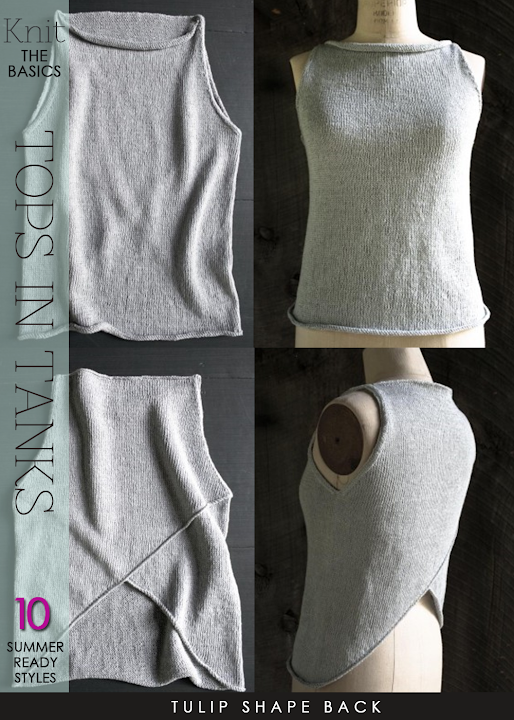 Good news for the beginner, the tank can be a quick project to knit if stitches are kept simple. Shape is an important factor when picking a style to make. 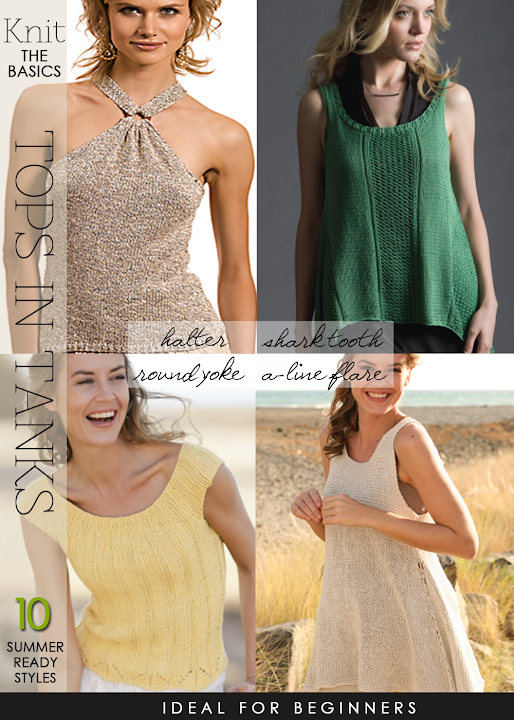 Featured are a variety of current shapes which will definitely fill most knitter's wardrobe needs . Think color, texture and yarn type when planning your project, whether you want dressy in a silky finish or simply casual in a crisp cotton finish. The styles will give you endless inspiration for yarn and fashion choices. 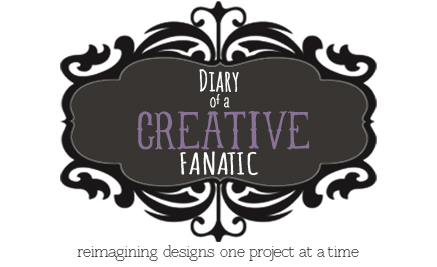 Read further for 9 more free pattern styles.